Gen. 4:9 And the LORD said unto Cain, (Ardipithecus ramidus), Where is Abel thy brother, (Australopithecus anamensis)? And he said, I know not: Am I, (Ardipithecus ramidus), my brother's keeper? Genesis 4:5:6: The Genealogy before the "flood." Gen. 4:1 And Adam, (an eponym for the whole species, Sahelanthropus tchadensis), knew Eve, (mother of all hominoids), his wife; and she conceived, (through her line after thousands of years), and bare Cain, (Ardipithecus ramidus), and said, I have gotten a man, (another species of hominoid), from the LORD. Gen. 4:2 And she, (in a line of human ascent), again (evolved a new sub-species), bare his brother, Abel, (Australopithecus anamensis). 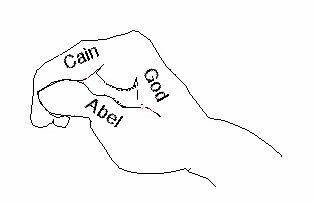 And Abel (was carnivorous,) was a keeper of sheep, but Cain (Ardipithecus ramidus, a vegeterian,) was a tiller of the ground. 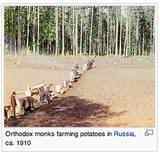 Gen. 4:3 And in process of (a very long) time it came to pass, that Cain, (Ardipithecus ramidus, a vegetarian), brought of the fruit of the ground an offering unto the LORD, (in regard to the evolutionary advancement of this species). 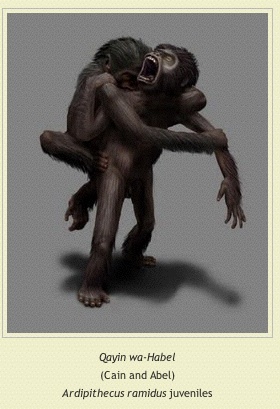 The earliest fossil hominid, Ardipithecus ramidus, is a recent discovery. It is dated at 4.4 million years ago. 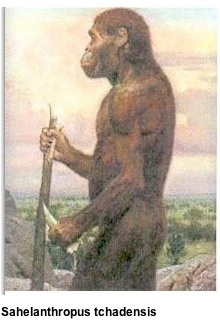 The remains are incomplete but enough is available to suggest it was bipedal and about 4 feet tall. Other fossils were found with the ramidus fossil which would suggest that ramidus was a forest dweller. A new skeleton was recently discovered which is about 45% complete. It is now being studied. 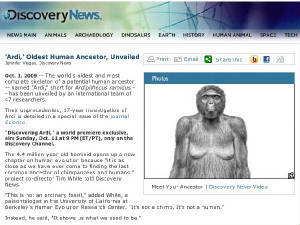 A new species, Australopithecus anamensis, was named in 1995. It was found in Allia Bay in Kenya. Anamensis lived between 4.2 and 3.9 million years ago. Its body showed advanced bipedal features, but the skull closely resembled the ancient apes.